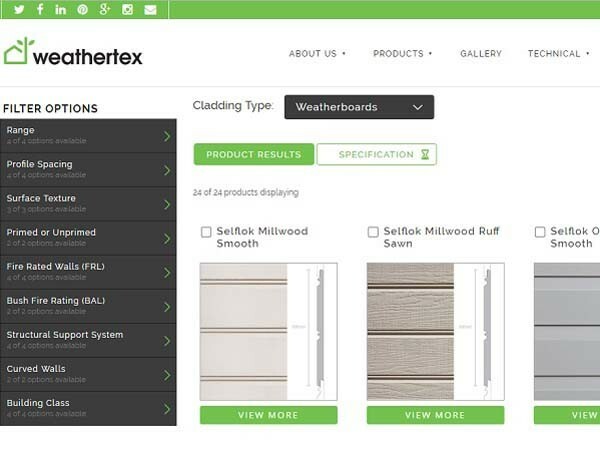 Weathertex has introduced a new online tool that simplifies the process for architects, designers and specifiers to select and specify products for their projects. Weathertex’s new online Project Specifications Tool allows the user to sort through the brand’s various profiles and formats according to their project requirements across residential, multi-residential and commercial segments. Several filters have been provided for the specifier to further narrow down product options, beginning with the two cladding choices – weatherboards and architectural panels. The user can use various filters including range, profile spacing, surface texture, primed/ unprimed, fire rated walls, bush fire rating, structural support system, curved walls and building class to shortlist the product options to best suit their project design and performance requirements. The user will then receive a specifications report with all the relevant documentation.